No matter where you stay, you will enjoy quality accommodations with views of meadows and the sea, designed to sooth and pamper the soul. While visiting Vejrø Resort your time is own, whether you stay in one of our relaxed luxury suites or deluxe rooms at Hotel Blæsenborg, in a double room or apartment in Karlekammeret, or rent your own guest house (the island’s original houses restored), where you and your family can explore island life and reconnect with the calm embrace of nature. 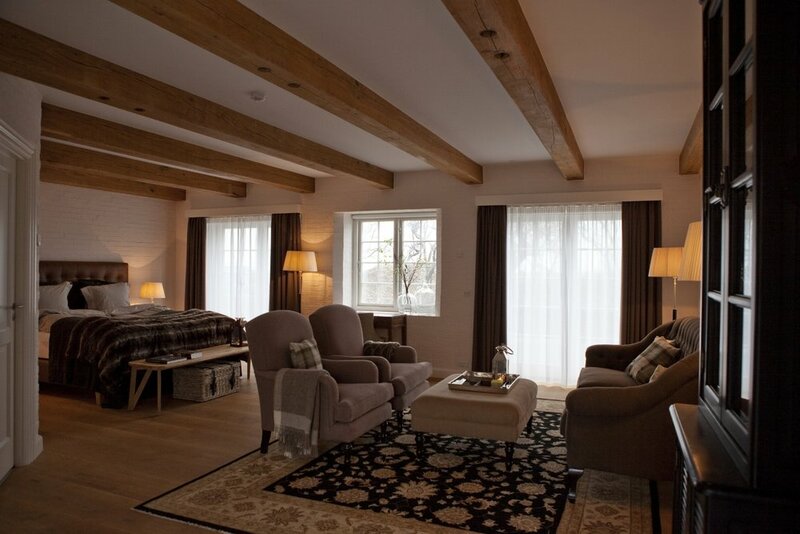 Once the island’s largest farm, Blæsenborg has been remodeled to please the discerning eye. 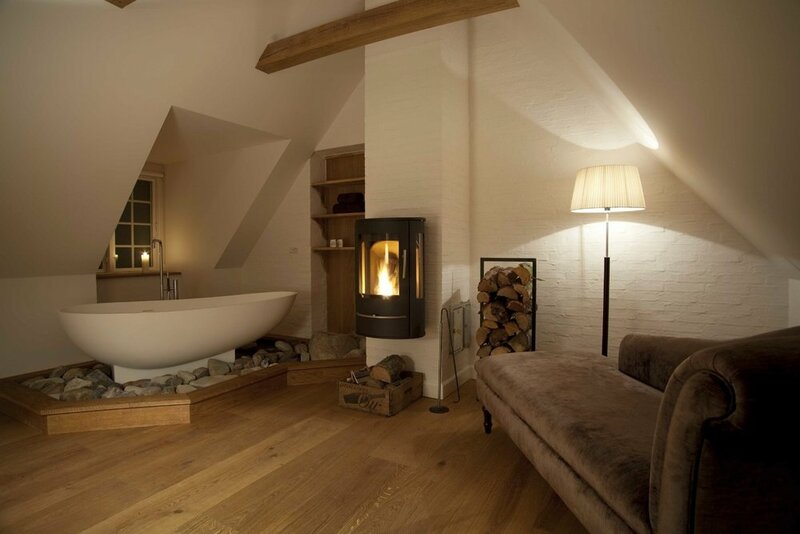 The place exudes comfort and a Nordic sense of country soul. You can pour yourself a drink from our honesty bar, light the crackling fireplace, and enjoy the panoramic views of fields and the sea. Modern and comfortable accommodation suited perfectly for families and groups. Stay in comfortable double rooms or one of our vacation apartments. In Karlekammeret you have all the space you need for relaxation and a pleasant time with family and friends. Our fully refurbished guest houses, located at the heart of Vejrø’s stunning nature areas, offer space and retreat for the whole family. Play all day and hang out in your own cozy living room for couple or family time at night.